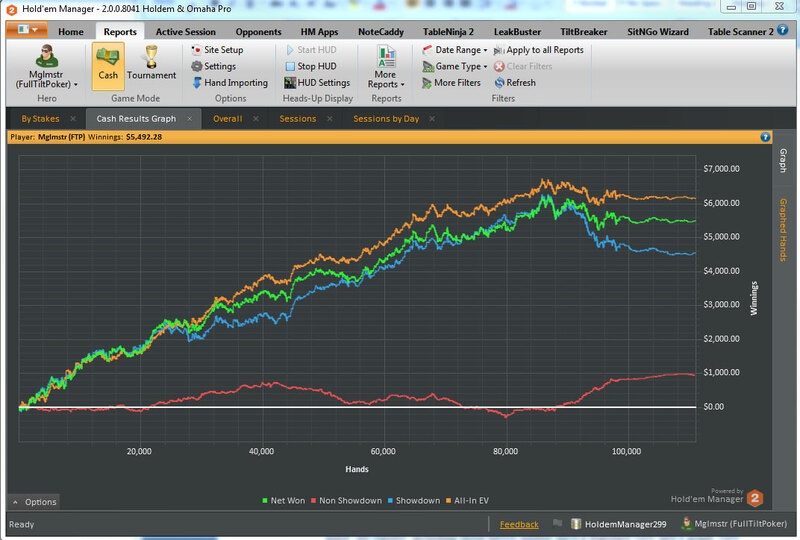 The art + science of winning poker. 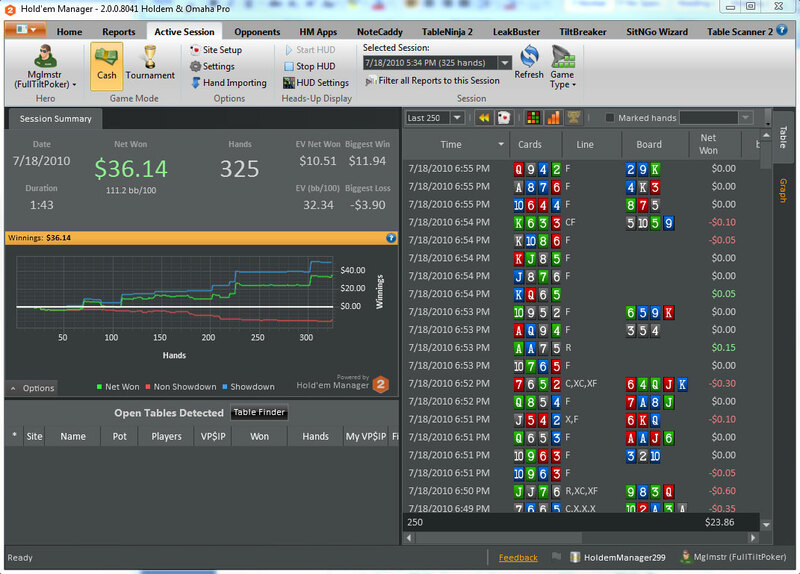 Know your opponent, review / analyze your results and maximize your profit. A completely new interface gives you an unprecedented amount of information and control. Most importantly, it delivers it in an amazingly intuitive way. Performance enhancements abound! 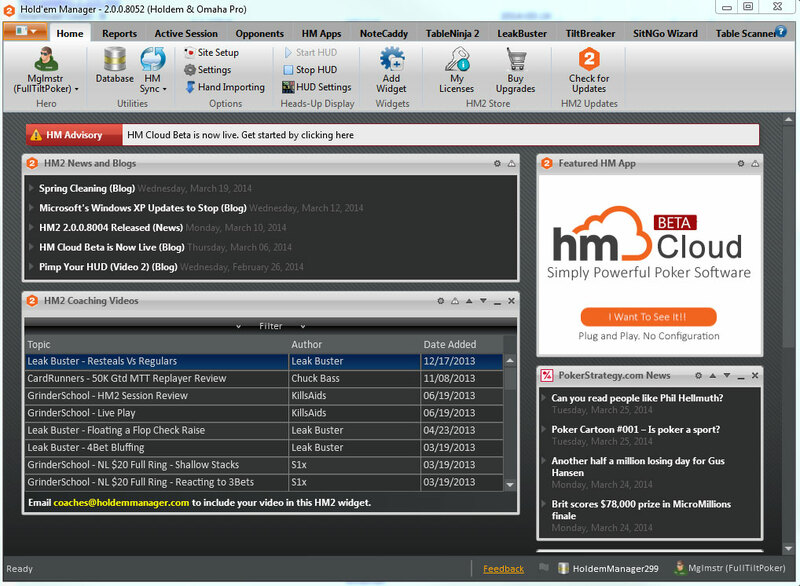 A re-designed database allows HM2 to set a new poker software standard in responsiveness to even the most advanced queries. HM1 has long been the industry leader in ability to handle large databases. HM2 builds on that lead with even more robust capabilities to manage the ever expanding size of hand databases, boasting import speeds double, or even triple those of HM1. There are several new reports which were made with both cash and tournament players in mind. All reports, including those newly added, have a standard view and a graph view. Filters, filters, and more filters! If you can dream it, HM2 will filter for it. 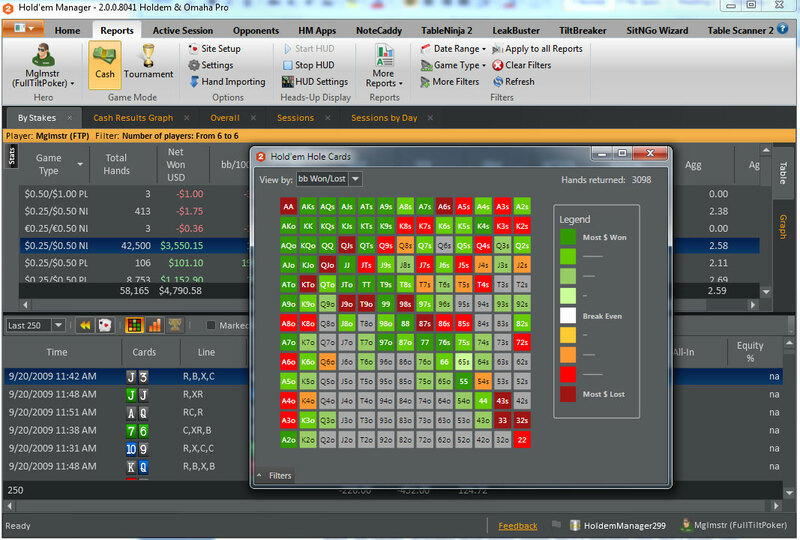 While most people use a small basic set of stats, there is an incredible array of new stats that are built into HM2. Currently there are over 1000 stats in HM2. That's more than double the amount of stats inside of HM1. 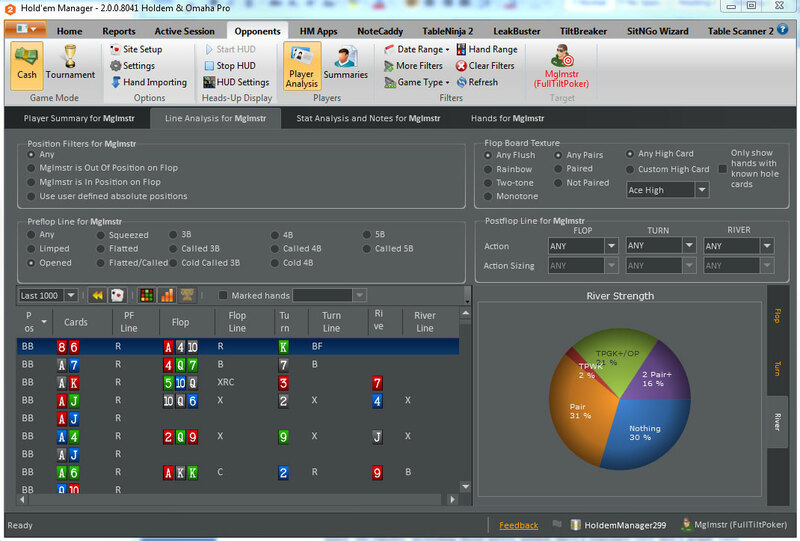 The new Session View includes a consolidated panel for all the tools that you most commonly use in an active session. Versus hero stats allow you to see how your opponents play specifically against you. Several pre-configured HUD's come standard. A new HUD control panel allows you to instantly see changes to HUD's as you make them. New NoteCaddy notes can be optionally displayed on the HUD. These auto-generated player notes are incredibly powerful and allow you to drill down and replay the actual hands that triggered the notes! 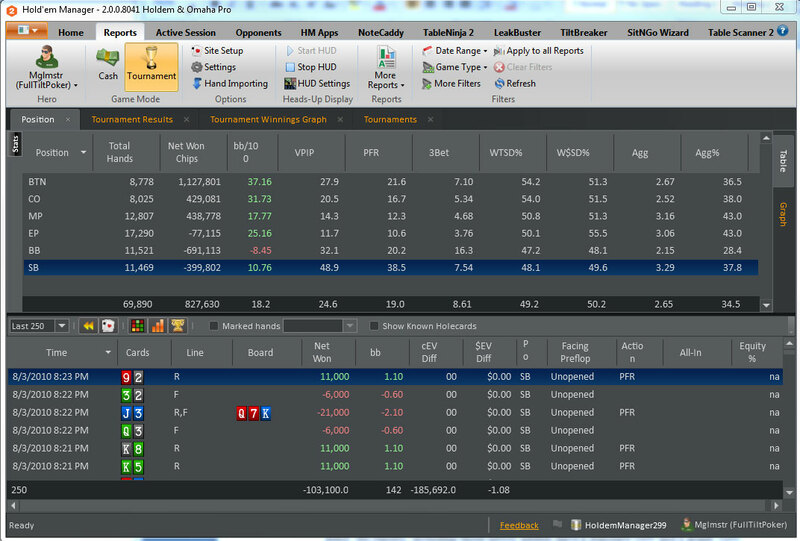 NoteCaddy is the newest HM app and includes both free and premium notes that are integrated into HM2. New Street By Street HUD for sites that support live tracking. Change your HUD based on what street the action is on. There is an option to use new mini-charts in the HUD rather than traditional stats. New design for HUD pop-up's is very clean, intuitive and visually pleasing. Your imagination is about th eonly limitation on the situational filters that you can set on the combinations of position and betting lines for an opponent. 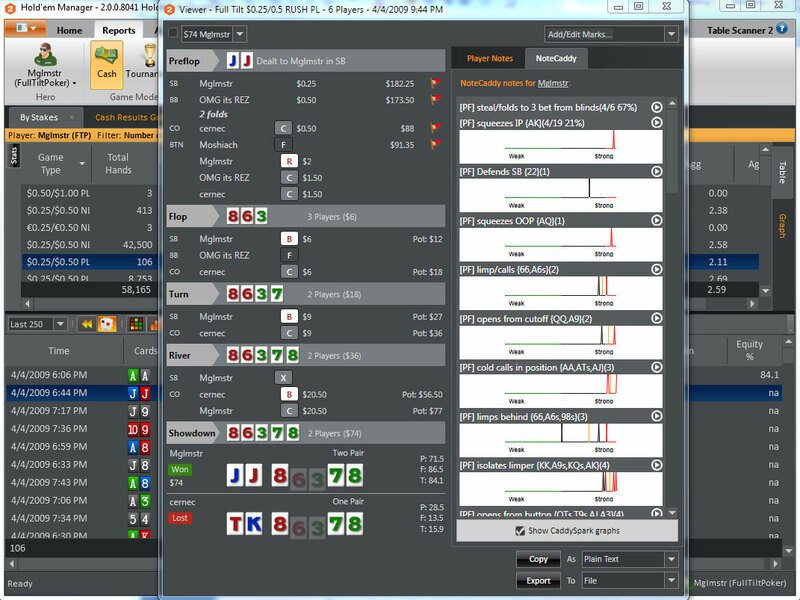 You can instantly see the details of every hand in your opponent's range and when they have used that line. 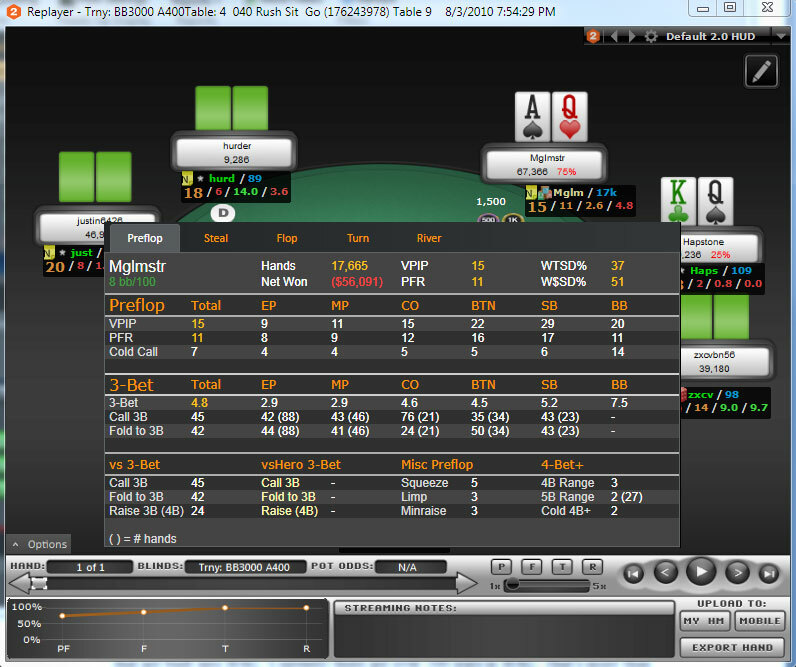 Several widgets already exist for CardRunners, 2+2 Magazine, Poker Strategy, Poker News, CardPlayer and Poker News Daily. 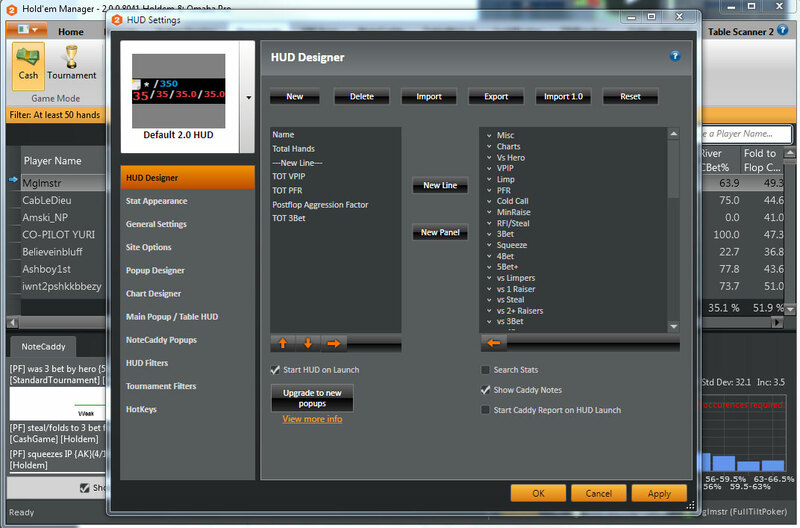 The library of HM2 widgets available for adding to your Home View will continue to be increased over time. Interactive FAQ: As you navigate through HM2, the interactive FAQ, which is optionally displayable in the top right of the application, will update with teases to several common questions and hints or tips. If you click on the tease, more information is displayed, including a link to a more detailed FAQ. Video Resources: HMTV is build into the HM2 Home View and we also have a YouTube channel dedicated to all types of training videos related to HM2. Automated tool for adding stats to reports: While adding stats to a report, choose from 50+ categories. HM2 will auto-suggest matching stats as you type the description of what you want. 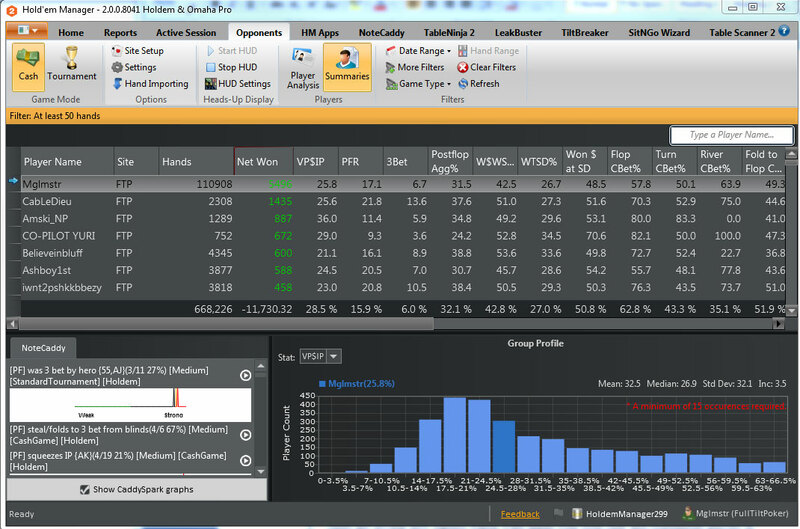 It doesn't matter if you type 3B, 3-Bet, or 3 Bet, HM2 will help you quickly find the stats that you are looking for. For up to the minute updates and announcements, like us on Facebook and follow @HoldemManager on Twitter. Leak Buster - Hand Analysis Just Got Easier! !